Northwest Museum of Legends and Lore would like to stress the facts known about the suspect. Museum wax head of D.B. Cooper which we feel more accurately depicts his identity following witness statements. D.B. Cooper was said to have Olive complextion or a dark skin tone leading researchers to believe he may have been Latin American. This wax head, as seen on Mysteries at the Museum was created to show the public a more accurate depiction of the suspect. a more accurate depiction. 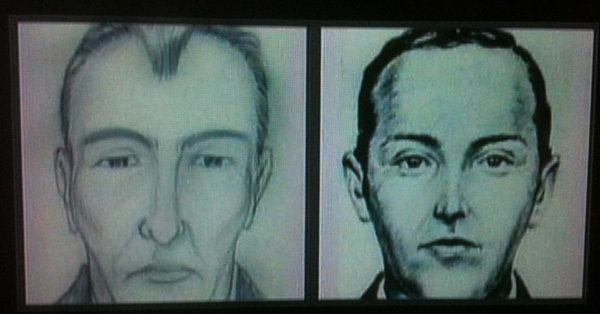 Florence noted the widows peak and the longer face compared to the initial FBI sketch. 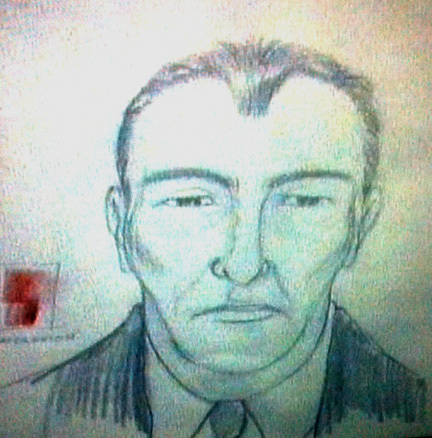 It appears suspect Lynn Doyle Cooper does have a dark complexion, has a widows peak and significant receding hairline. presenting at the museum in 2005.
source of information and details of the case. Current area searching is Bachelor Island in the Ridgefield Wildlife Refuge.